what accommodations are there for slop or those of us without perfect rhythm? 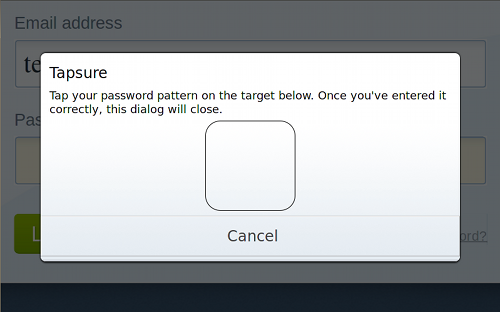 It would be nice if there was a checkbox for firefox to remember your password IN tapsure, so that you can type the password via taps and then not have to do so again for a given site. Me: Tapsure allows for a certain variation in the timing of your taps, which should be large enough to give you the leeway to not have to be perfect, but small enough to not allow completely different rhythms to access your passwords. Yushatak: I’m not sure what you mean; you can already tell Firefox to remember the password after you type/tap it in, and most sites have a “Remember Me” option so that you don’t have to type your password each time. 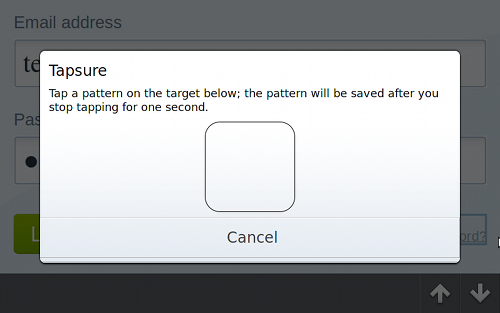 I installed tapsure on Firefox mobile 4 on my Xoom. Tried it on 3 websites. 1) drugstore.com – worked well, 2) directv.com – didn’t ask if I wanted to add tap, Bank of the West – also never asked. Still debugging? I can’t remeber the last time I left a review for any product. I’m certian it’s been years. With that said, I wanted to let everyone know that I’m a Cisco network engineer who own a Motorola 3G WiFi Xoom. I have Tapsure installed and it works great. No problems or issues. To the person with the Xoom that had the problem, try touching the password area with your fingure and hold for a second or two. You will see the little tap area pop up. Request – Please make an app that works for anytime you need to enter a username / password regardless of where you are on the Internet or starting an app that requires a password. Would thing this would simple to do. Could even map username and password to a keyboard shortcut. Would save me a ton of time, as i use my Xoom in the car – a lot! Thanks again for great product! i’m an amateur radio operator, and i like Morse code. i use this plugin and tapping my password in Morse code. 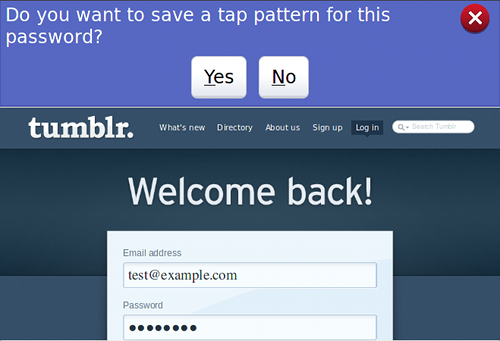 it is really fun and easy rather than looking for keyboard buttons to enter the password. Works on Lenovo thinkpad android honeycomb tablet. sure saves a lot of time!